Aaron Ramsey is set to miss international appearance due to thigh injury. The Arsenal midfielder is international duty with wales. The 28 years old Arsenal midfileder was missing in his team Tuesday training that took place in at Manchester United training ground and will be out of the Wales’ team that will lock horns with Trinidad and Tobago on Wednesday. However, Aaron is slated to recover in time to represent Wales in Sunday’s European qualifiers game against Slovakia. 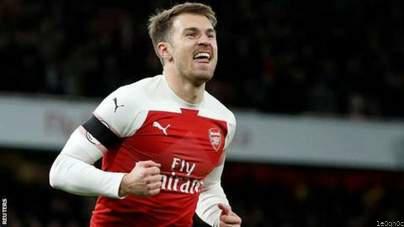 Be the first to comment on "Aaron Ramsey suffers thigh injury"